Do you know how to grill tofu, veggies and Cheezburger all at the same time without burning the grub? If so, please send cover letter and resume to us via e-mail. The Administrative Assistant role will handle a variety of back office tasks for Literally Media. The position provides executive support to the CEO, CTO, and Executive Producer on as needed basis. For example, the Administrative Assistant will manage our move to new space in July/August, provide light accounting tasks to coordinate with the corporate accounting department in Tel Aviv, maintain current detailed lists of company passwords, vendor contracts and billing arrangements and filing contracts and other company documents in an organized manner. The successful candidate will be able to work independently with little day-to-day guidance (after initial ramp up) and possess a “get it done” attitude. The ideal candidate has experience working in fast-paced, constantly changing environments, is detailed oriented, and has a demonstrated ability to resolve issues quickly and creatively. Assist with posting job openings, scheduling interviews and completing onboarding activities for new hires as well as processing terminations for departing employees. Coordinate and schedule meetings, appointments and travel arrangements as needed. Plan and organize company events (game night, holiday party, marketing events, board meetings). Maintain office supplies; order general office and kitchen supplies as needed. Order employee purchase requests, document approvals, and track charges for monthly accounting reconciliation. Light report generation related to the company’s business such as user traffic, progress on product roadmap items, expense report processing, etc. 2+ years working in an administrative support role, must include experience managing multiple and shared calendars. Demonstrated capacity to work independently, solve problems that arise and prioritize key tasks while accomplishing duties efficiently and with high quality. Posted in Community | 6 Comments | Leave another comment! We’re Hiring. Who Wants To Be A Professional Internet? There’s an open position in Cheezburger’s Seattle office. If you used Snapchat’s Bob Marley filter on April 20 you needn’t apply! Please send cover letter and resume to contactus@cheezburger.com. Cheezburger runs more than 60 popular meme sites including I Can Has Cheezburger?, FAIL Blog, Memebase, The Daily What, and Know Your Meme. Cheezburger is one of the largest humor destinations in the world and where millions of people come to laugh and share that laugh with others. Cheezburger counts a passionate fan base of more than 10 million people accessing the site by desktop, mobile and tablet device. Editorial content publishing and scheduling for assigned sites and social media channels. Exercise discretion and judgment on consistent brand and editorial decisions for assigned sites. Analyze data to determine optimal editorial expression across sites to drive metrics and goals. Coordinate with Managing Editor, Social Manager and all editorial staff to enhance the Cheezburger brand and editorial style across channels. Open office with an emphasis on collaboration and camaraderie. Autonomy to prioritize and meet daily deadlines. Open discussions about internet culture. Working in our Lower Queen Anne office. Familiarity with web analytics tools such as Google Analytics. Understanding of editorial and social media guidelines and strategies promoting referral traffic and brand growth. Professional communication and organization skills. Demonstrated ability to utilize data in editorial decision-making. 3+ years prior experience in the creation, execution, and publishing of editorial and social web content. 2+ years with web analytics tools such as Google Analytics or another industry-level analytics program. In case you didn’t see the alert on the top of our pages the past few days, we’ve had some difficulties with our former commenting system. Former commenting system? Yes, you’re spot on. But have no fear, Spot.IM is here. You may also notice a new + sign on the left-hand side of the page. Click the + to see what other users are saying on the site and navigate to conversations you find interesting. If you’re concerned about what happened to all your previous comments, worry not; they’re on their way. But for now, we’ll just have to work together to make new ones. Go forth and comment, friends. Posted in Community | 154 Comments | Leave another comment! A Message From Cheezburger: We Can Has Ad Blocker Turned Off? We know many of you don’t like ads with your Cheezburger. But those ads pay for our servers and the salaries of our staff. (And cat food!) We’ve put a ton of effort into making Cheezburger and KnowYourMeme faster to load. We do our best to eliminate bad ads, like those that start audio automatically. But the stark truth is that advertising is our life blood. Our mission at Cheezburger is to “Give the World 5 minutes of happiness a day”. If you’re reading this, we bet you agree that we’re pretty good at delivering on that mission. We don’t want to charge you to visit Cheezburger, because well, where would the happiness be in that? But if our ads are blocked, we can’t afford to put out the product. Please disable your Ad Blocker for Cheezburger and KnowYourMeme or add us to your whitelist. Posted in Announcements | 69 Comments | Leave another comment! For all of you texters who refuse to use the actual keys on your keyboard, we’ve got news for you! Cheezburger has recently partnered with PopKey! What’s PopKey? 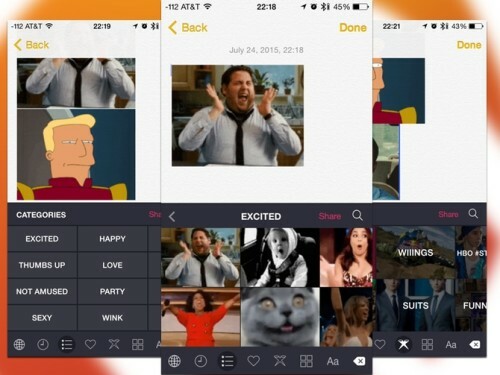 Only the world’s first and fastest growing iOS 8 GIF messaging keyboard on the planet. How does it work? EASY! Simply choose the GIF vibe (happy, excited, WTF, facepalm, etc. 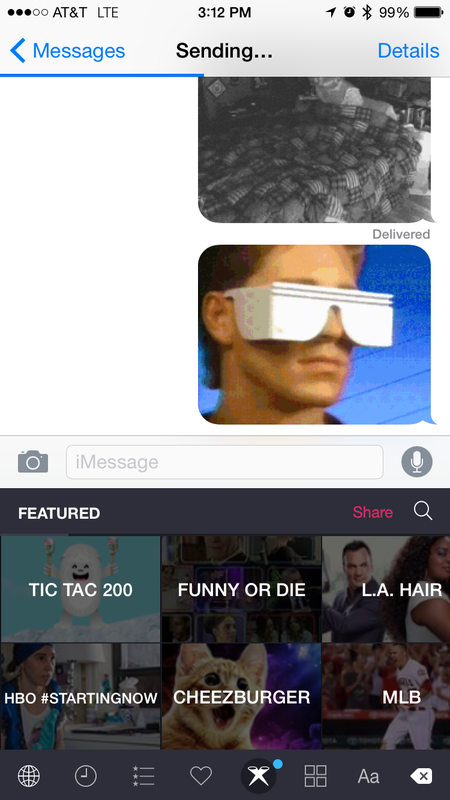 ), pick the most fitting, and take your text game to the next level. We are currently a featured category on the PopKey home page and you can select all the funniez from the keyboard of your very own phone! Head here to get the PopKey app and start sending all the LOLs. Posted in Community | 41 Comments | Leave another comment!